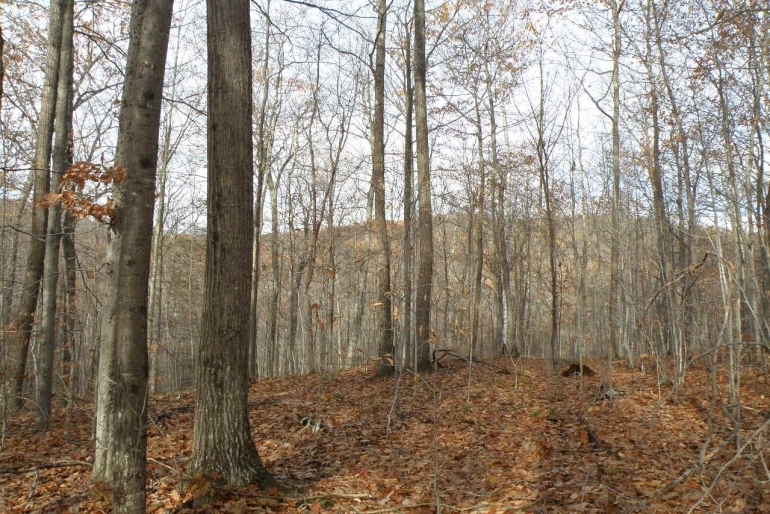 The property presents multiple use options, including a potential year-round homesite, a woodlot for managing a productive timber resource, and recreational uses where white-tailed deer are abundant and a VAST trail runs directly across the property. 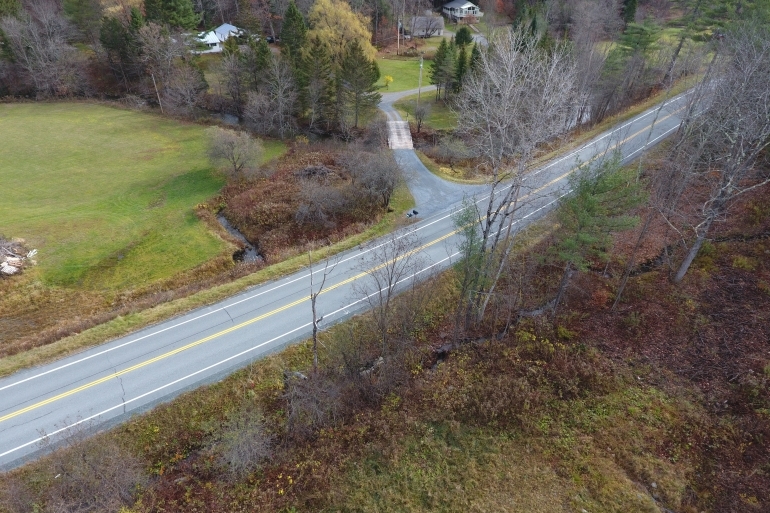 The forest is located in the southwestern corner of West Fairlee, a township whose village center is minutes down the road and consists of a post office, general store, elementary school and town hall. Interstate 91 (exit 14) and Thetford Village are 9 miles to the southeast. Norwich, Vermont, which, together with Hanover and Lebanon, New Hampshire form the nucleus of this region, is located 18 miles to the southeast. 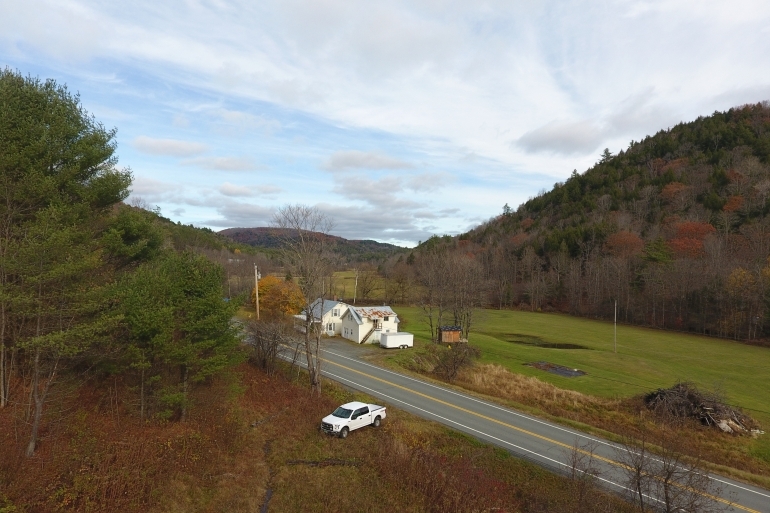 Access is provided by direct frontage along Route 113, a paved state road that runs from the village of Chelsea (to the west) to East Thetford near Interstate 91 and the Connecticut River, 8 miles to the east. The frontage along Route 113 runs for ±1,500’. 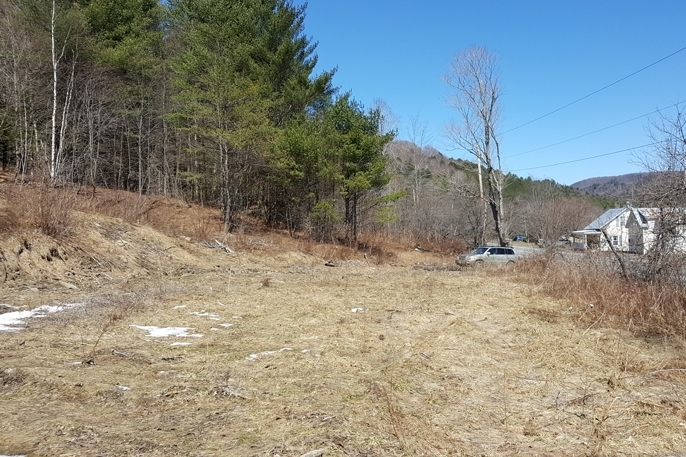 The land’s area closest to the road is level to gently sloping and appears to support a potential homesite. A VAST (Vermont Association of Snow Travelers) snowmobile trail crosses the western tip of the property. Also, the established Cross Rivendell hiking trail traverses the southwestern corner of the property, offering direct access to this regional, 36-mile trail that extends from Mt. Cube in Orford, NH to Flagpole Hill in Vershire. Pockets of gentle terrain exist near the frontage, seeming to allow for home construction back away from the road. The height of land (southern section of the property) also offers gentle terrain in the form of a hilltop plateau containing two knobs and a saddle in between. This location holds a mix of level areas (some formerly used as pasture) and some rock outcropping leading to each knob. The mid-section of the land contains moderate to occasionally steep terrain. All of the soils are well drained. The high point on the forest (1,280’ above sea level [ASL]) is the southernmost knob where views of the surrounding mountains and valley below can be enjoyed during leaf-off periods of the year. 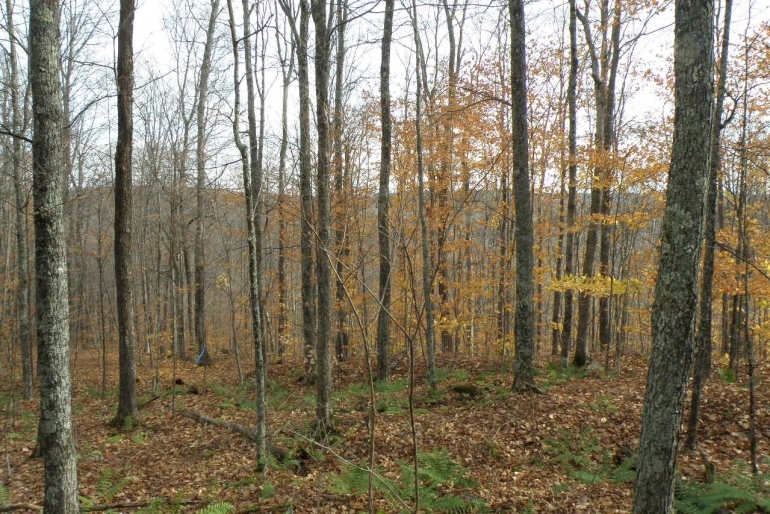 In this area, hardwoods dominate the forest. 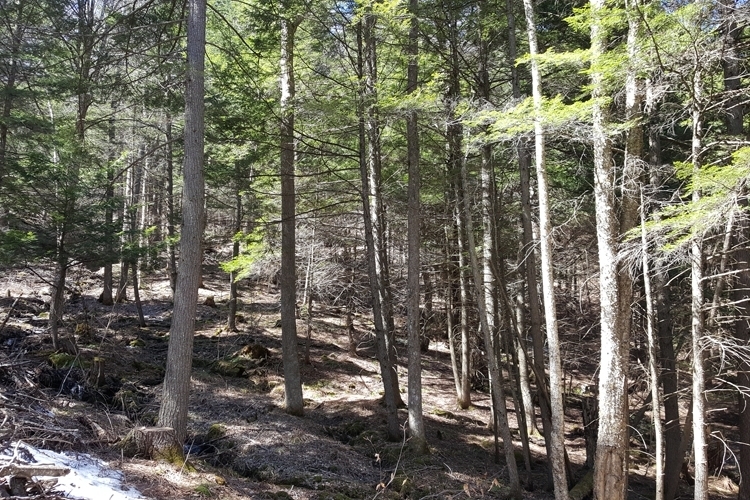 From this area, the land slopes to the road, supporting hemlock and mixed hardwood stands, with an elevation near the road of 780’ ASL. This primarily softwood part of the land covers a mapped winter deer yard, an area known for supporting winter deer habitat. In addition, the southern part of the land offers good browse and a red oak component whose mast acorns provide high levels of protein for the deer herd. 2017 timber data reveal a total sawlog volume of 418 MBF International ¼” scale (4.9 MBF/acre), with 1,790 pulpwood cords (21.1 cords/acre). Combined total commercial per acre volume is 30.9 cords. Stumpage values were assigned to the volumes in July of 2017, producing a property-wide Capital Timber Value (CTV) of $62,200 ($732/total acre). The species composition is nearly equally split between hardwoods (48%) and softwoods (52%). Species composition for all products combined is dominated by hemlock (45%), a species that provides high-quality deer yard habitat. 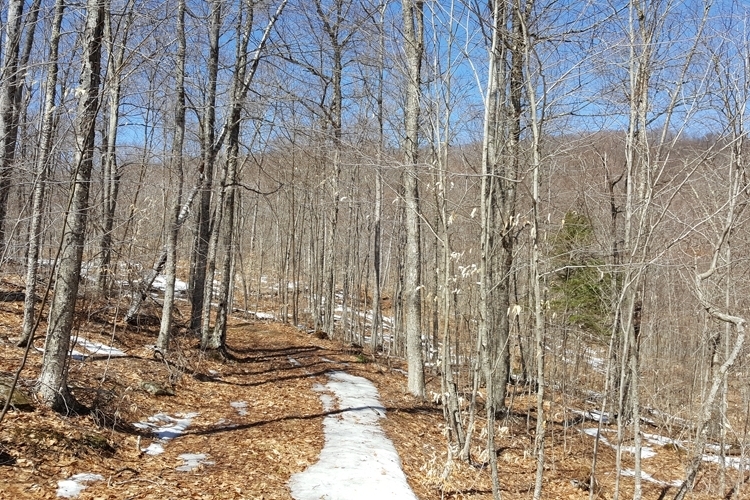 Sugar maple holds 29% of total volume, with this species and other associated hardwoods located primarily on the upper slopes and ridgetop. While the forest holds a wide diameter distribution, most stems are within the 12-16” size class.